1.we are factory, established in 1992. 2.we can make packing,shipping mark as your ask. 3.we can give food additives ethyl maltol, flavour, sweetener, e cigarette liquid etc. 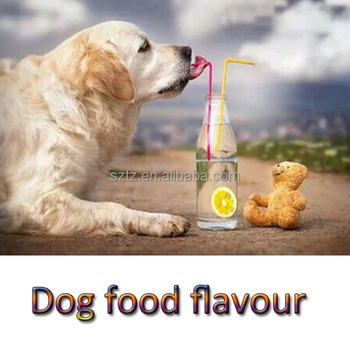 These flavors are liquid form, food grade, has strong aroma, can be used for all kinds of pet food and feeds. Savory Industry:Soups/Bouillon/Sauces,Snacks,Margarines,Fats&Oils,Instant Noodles, Meat Products. and Pharmaceuticals products ,Tobacco Flavor . Our Technical Centre,which is mainly involved in technical research center and development ,carries out R&D of new products and research on application round the year,so as to provide clients with high-quality products and powerful technical support. 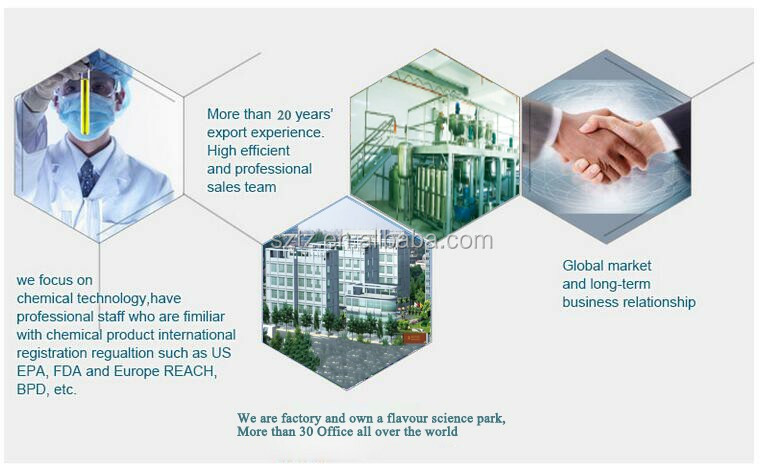 Our products cover several different series, including compound, daily chemicals fragrance, bakery food ingredients, sweet food flavors, savory food flavors etc. 2.What is the normal lead time? 3.Can you produce the goods as our request? Sure, OEM and ODM are welcome! 4.What is your shipping terms? help you to choose the best efficient shipping way according to your detail requirements. 5.How about the refund service? change refund or make up.